DigitasLBi has appointed Emmanuel Baruch(pictured) as general manager of its Hong Kong office. The appointment follows the expansion of DigitasLBi in Hong Kong through a number of significant new business wins including AIA, Cathay Pacific and Pernod Ricard. Reporting to Roy Capon, chief executive at DigitasLBi Asia Pacific, Baruch will manage the day-to-day operations and continued growth of the agency’s Hong Kong operations. 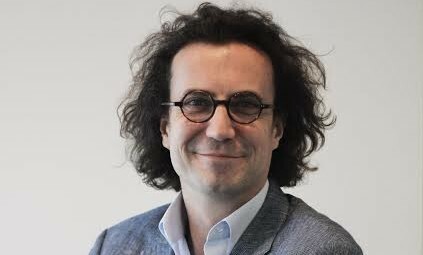 Baruch recently moved to Hong Kong from DigitasLBi in Paris, where he led and managed a significant part of the global digital transformation programme for the Renault-Nissan Alliance. Prior to joining DigitasLBi, Baruch was Deputy Chief Operations Officer at FullSIX in Paris. He also managed the SEAT digital account worldwide for Volkswagen Group at Zone Franche in Paris. Capon sadded: “I’m delighted that Emmanuel has decided to join us from our Paris office. His appointment supports our ongoing strategy to create an open talent mobility programme. “Emmanuel has the right skill set, understands our culture well and brings a mature knowledge of marketing and technology to the region. With the launch of new services, such as connected commerce and new regional client wins, it’s perfect timing for a General Manager to help our Hong Kong team deliver even more to our clients.”. "The change in its branding reflects the operational changes that is ongoing across the company, and is driven by a desire to 'ach..
Abercrombie & Fitch将于7月26日在阿里巴巴的天猫上推出同名品牌和儿童品牌Abercrombie kids。 ..
Each industry is represented with one brand and one creative and they each had one simple task: express their brand’s identity usi..